Go over current and forecasted fees and tuition charges for Brown Mackie College - Boise, as well as how these charges compare to the U.S. average. Get a good understanding of the tuition charges associated with Brown Mackie College - Boise in order to prepare successfully for your college years. Check out the figures below to know how Brown Mackie College - Boise's cost measures up to other schools and if you should plan for tuition increases. How Does Brown Mackie College - Boise Compare to Other Schools? The following table outlines how Brown Mackie College - Boise measures up to other schools nationally, regionally and by state. 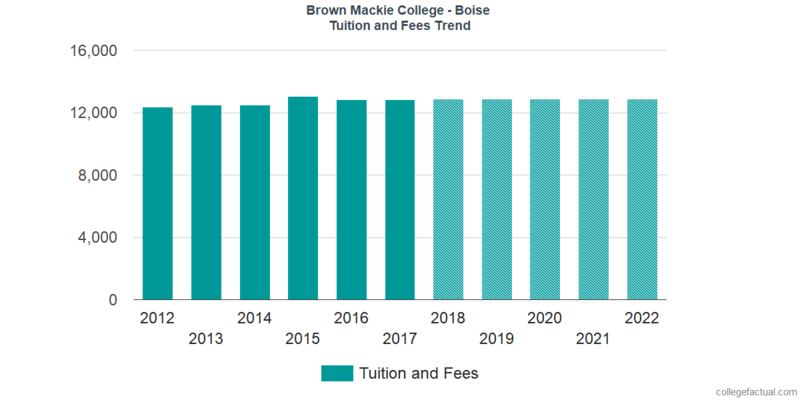 How Much Will Tuition & Fees Be for Brown Mackie College - Boise? Full-time undergraduates at Brown Mackie College - Boise were charged $12,852 in tuition and fees for the 2017 - 2018 academic year, before adjustments for financial aid. $11,952 was the price of tuition. The other $900 represents additional fees. Fees and tuition prices quoted here do not include room and board, which will drive up your costs. Yet, most students will end up paying under full tuition after receiving financial aid and other rate reductions. Brown Mackie College - Boise tuition and fees have stayed stable over the past five years. We estimate the expense of tuition and fees for this year will total $12,861. If costs remain stable, two years at this school will run you $25,731 and four years will run you $51,498. In addition, you may have extra costs for room and board, books and, transportation. Look at what upcoming tuition and fees will be for Brown Mackie College - Boise students in the following chart. Take note of how much college fees and tuition is increasing annually. At a lot of schools undergrads will end up spending more on their final year of college than they did for their first. Get our answers to frequently asked questions and get additional information about college tuition and fees.